I’ve been working in aged care for five years now, joining Crowley Care when I was 23. I was previously a labourer and got injured playing football so was unable to work. Instead of being miserable and doing nothing while I was recovering, my wife encouraged me to take advantage of the situation and to make a career change to something I am really passionate about. While I was off work I did my Aged Care Certificate. Crowley Care was where I did my placement for my course and I have been here ever since. I have previously worked with high dependency dementia residents and absolutely loved that, but at the moment I am working in a mixed area for residents, so people who are starting to have the beginning symptoms of dementia. Because I am young and strong, I do a lot of the physical assistance, but I also really enjoy taking my time with each resident to get to know them and have a chat every day. I really love getting their and their family’s input into how I can best care for them. Working in aged care has taught me a lot about life and people, mainly to really appreciate the life I have and my family. 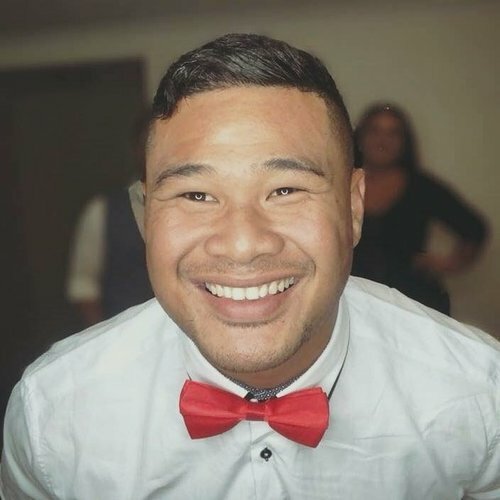 I am Samoan, I was born and raised in the Islands (and did not come to Australia until I was 16), so caring for my elders is a strong cultural influence for me. There are no nursing homes in Samoa because back at home you and your family look after your elders yourselves, it’s very different there. I love that I can still give that care to people when their families aren’t able to, and share some of my culture with the residents here. Some of the residents don’t have any family anymore, I like that I can be sort of a new family to them and not let them feel alone. The residents always talk about their own families and how much they miss them, it makes me want to spend as much time with my own family as I can. It has taught me that people need a lot of reassurance and to feel validated and important. Seeing a smile on the residents’ faces at the end of the day, and creating special friendships with the residents and their families makes me really appreciate the work I do. Every day is different and knowing that you are helping someone leaves you feeling very humble and content. I would encourage anyone who is thinking about starting a career in aged care to come and give it a go. You need patience and passion to give those you care for what they need, but it is a very rewarding career.